DataSpace have supported the Babygrow Appeal fund, in addition to other charity and community groups over the past 20 years. Including the Davenham Rangers under 10 football team, Great Budworth CE School, Alzheimer’s Society, Help for Hero’s, local schools summer and Christmas fetes. The Babygrow Appeal was launched to raise money to build a new Neonatal Unit at the Countess of Chester Hospital that will provide better facilities and a more spacious environment for babies and their families. The Babygrow Appeal is now nearly at an end with several events including the Duck Race, a Golf Day and a Sportsman’s Lunch planned to boost the charity fund to reach the £2.4 million target to commence the building of the new Neonatal Unit. DataSpace are experts within the records management industry, and provide solutions for archive storage, electronic data hosting and digitisation of confidential files. Unfortunately, designing ducks for charity duck races is not part of the many professional services the company offer. 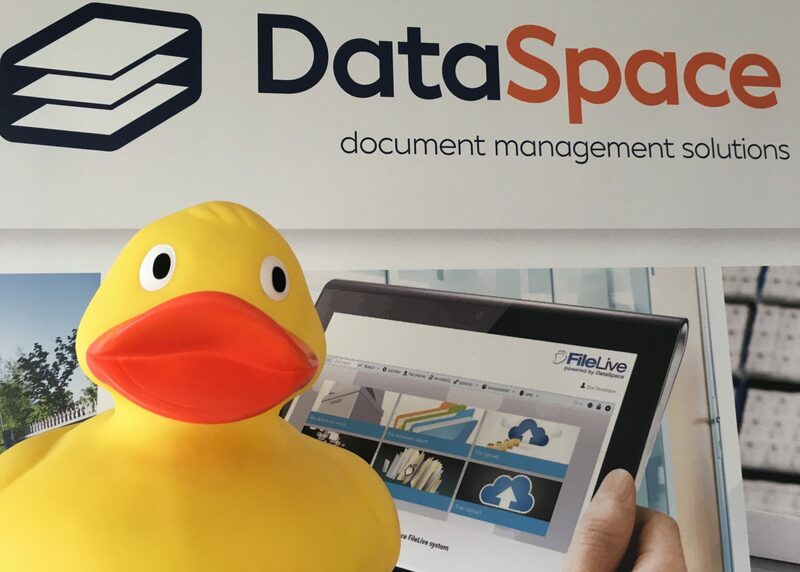 DataSpace are asking the children of the local area to assist with the design and name of the DataSpace duck. If your ducklings are quackers about drawing and would like to take part in the competition please download the entry form below! 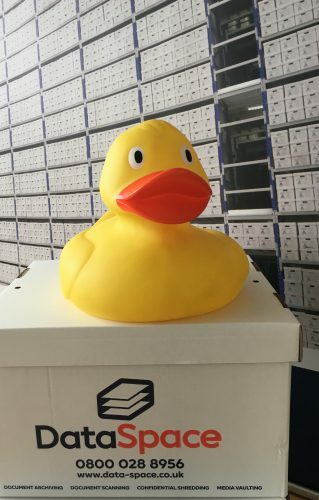 DUCK RACE COMPETITION, DataSpace (UK) Ltd, Wincham Business Park, Wincham Avenue, Wincham, Northwich, Cheshire, CW9 6GB. Please note all entries must be submitted prior to 5pm on Monday 7th August 2017. The winning design will be created for our entry into the race. 5 Finalists of the Competition will win a 74 piece Crayola Colouring Set, the winner will be awarded a 74 piece Crayola Colouring Set and 4 tickets to see their duck on the race day in Chester. The Duck Race will be taking place on Saturday 16th September 2017 at The Groves, River Dee in Chester, tickets are available on Event Brite (click here to order your tickets). Please come and support the Babygrow Appeal and be sure to cheer on the DataSpace duck. 1. Competition closes at 5pm on Monday 7th August 2017, all email and postal entries must be received on or before time and date. 3. Entrants must be aged 11 or under on Monday 7th August 2017 and have the permission of a parent or guardian. 4. Entry forms must be completed by the entrant and his or her parent or guardian who must supply contact details. Only correctly completed entry forms will be accepted, no other method of entry is permitted. Contact details will only be used to contact entrants if necessary and will not be shared with other companies. 5. A ticket to the duck race, provides 3 baby yellow ducks into the duck race.